Formula One world champion Lewis Hamilton has arrived back in the UK with his girlfriend Nicole Scherzinger. 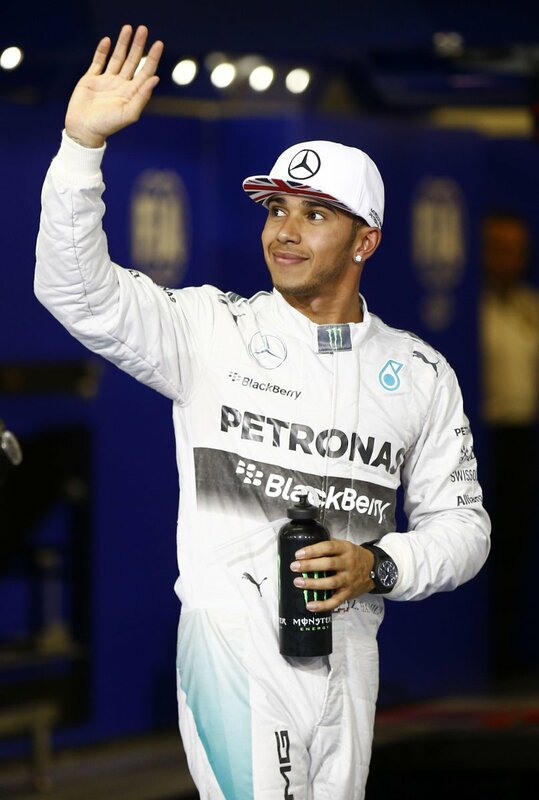 Hamilton, 29, won his second world title after his win in Abu Dhabi yesterday. 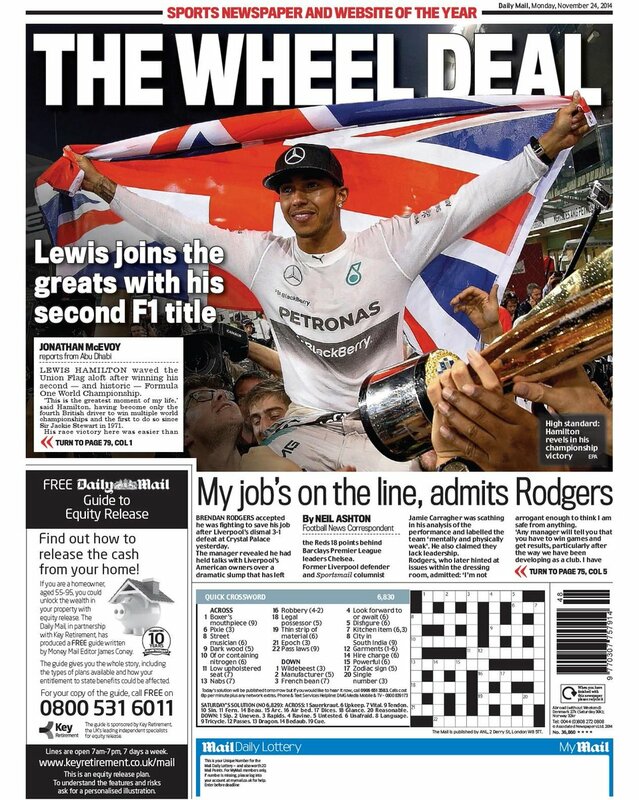 Lewis Hamilton's Formula One World Championship triumph dominates tomorrow's back pages. Lewis Hamilton has tweeted his thanks for the support of his fans after he joined an elite club of Formula One world champions in securing his second drivers' championship title with a win at the Abu Dhabi Grand Prix. Lewis Hamilton's Mercedes team have joined a flurry of Twitter tributes after the British driver won his second world Formula 1 world title. 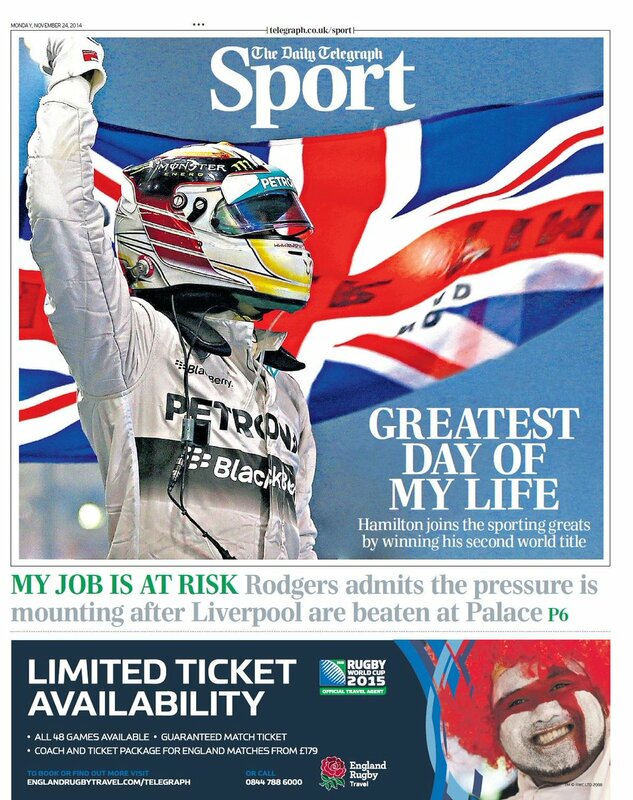 Big names from around the sporting world also paid tribute to Hamilton on Twitter, including tennis star Andy Murray, former England striker Ian Wright and golf legend Greg Norman. 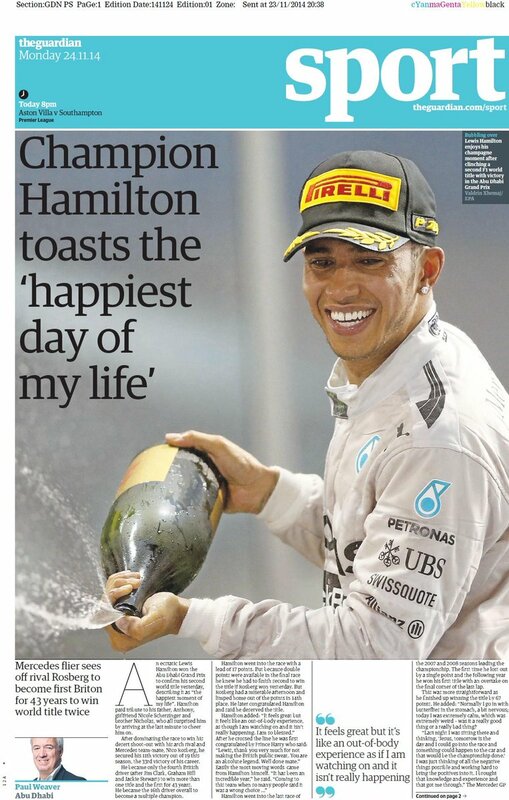 Congratulations @lewishamilton " Walk like a champion talk like a champion " ???????. first double world champion since Sir Jackie Stewart. 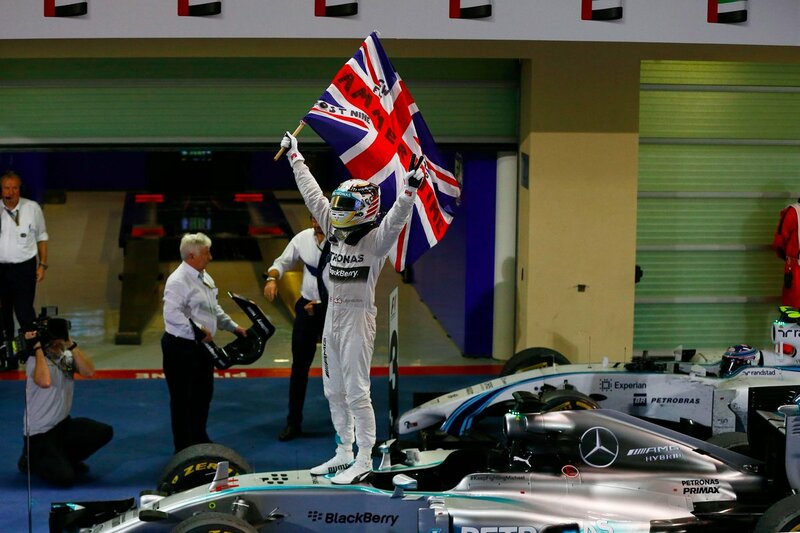 Congrats @lewishamilton on ur 2nd #WorldChampionship @f1. Congrats @mercedesamgf1 on a phenomenal 2014. THX F1, drivers & teams gr8 season?? Lewis Hamilton has won his second Formula 1 world title, ahead of Mercedes team-mate Nico Rosberg.